It stands out without sticking out. You might not have heard of iOttie—which sells all sorts of accessories and products, ranging from car and bike mounts to wireless charging pads. I hadn’t until receiving a couple of its charging pads. But after putting the iOttie iON Wireless Stand through our tests, I’ve come away rather impressed. The iON Wireless Stand, just like the rest of the company’s wireless charging products, is covered in cloth-like fabric. The material is reminiscent of that on a Google Home Mini. There are three colors to pick from—ruby, ash, ivory, which translates to red, gray, and white. There are two Qi-compatible charging coils in the stand, meaning you can place your phone in a portrait or landscape orientation and it should still charge without issue. 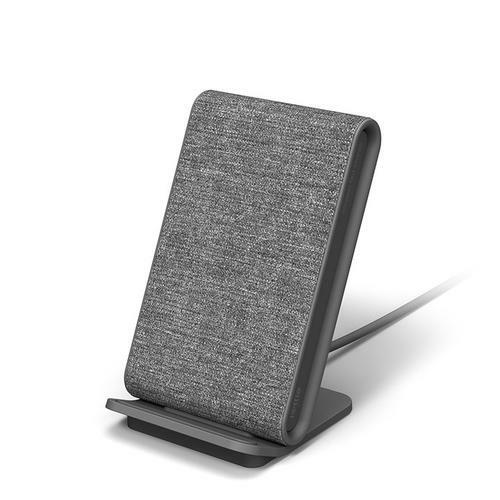 For $50 you get the stand, a USB-C cable, and a wall adapter to power the stand. The pad provides 10W charging to compatible Android devices, and 7.5W to iOS devices. In our tests, the iON Wireless Stand charged the Samsung Galaxy S9 from completely drained to full in an average time of 179 minutes, or 2 hours and 59 minutes. 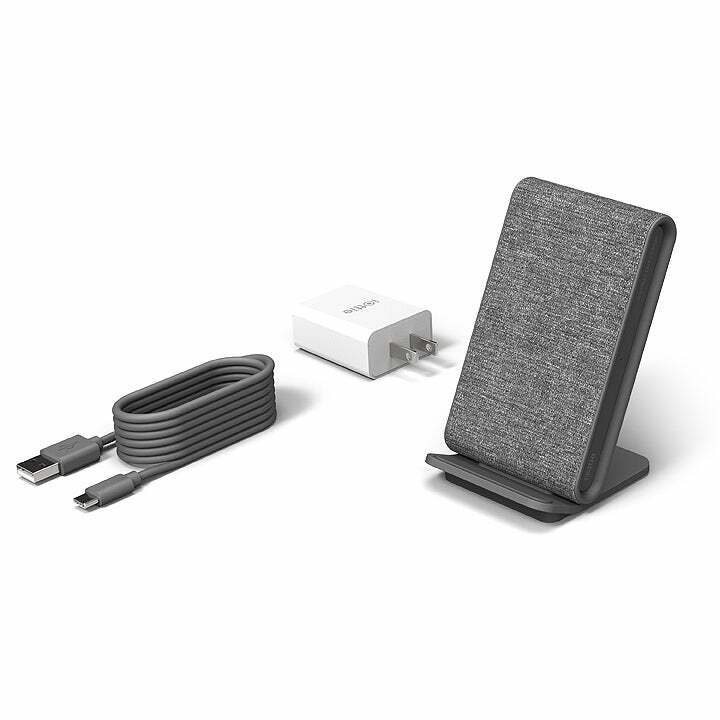 That’s in the middle of the pack of the wireless chargers we’ve tested so far. Where the iON Wireless Stand really excels is with an iPhone. Using an iPhone XS, the stand averaged a 44 percent charge in 60 minutes, beating all other charging pads I’ve tested by 8 percent. At first, I chalked up the difference in speed to the fact that the iPhone XS has a different charging coil configuration that Apple claims allows it to charge faster, despite still using 7.5W charging speeds. So I tested it with my wife’s iPhone X, and the end result was 42 percent. The iON Wireless Stand can charge an iOS device with speed. The iON Wireless Stand isn’t a black hockey puck-like accessory that you have to figure out how to hide in your house. Instead, it looks nice and is capable of efficiently charging your device.